I have attended the Oregon Athletic Directors Association annual conference every year since 1999. This past spring, there was a first: A break-out session led by a sports psychologist. At these outstanding annual meetings, we’ve learned lessons on a broad spectrum of topics, but never before had attendees been introduced to mental skills training. Implementing sports psychology into high school sports has been slow for several reasons. First, mental training can seem like a “mystical” area, so we do not have much confidence in it. 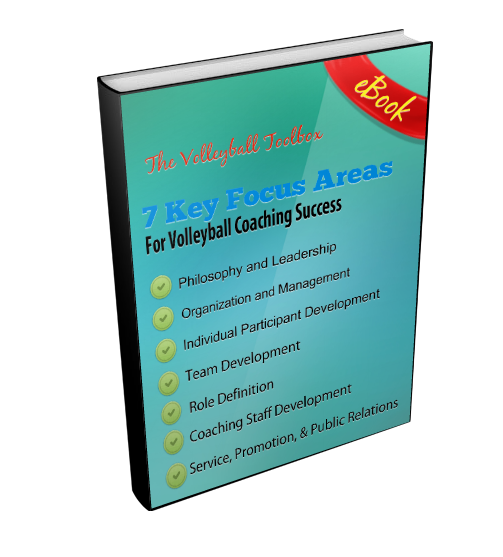 Second, many coaches feel that spending practice time on techniques and tactics offers greater payoff. But I believe the time has come to invest in mental skills training (MST) at the high school level. Consider this quote by inventor Charles Kettering: “There exist limitless opportunities in every industry. Where there is an open mind, there will always be a frontier.” Sport psychology is a frontier that can provide limitless opportunity in our “industry” for life-long impact and influence. It is a program for those of us looking to establish a lasting legacy and to invest our best in the lives of coaches and student-athletes. The overarching goal of a basic MST program is to help athletes become self-directed in their approach to sport and life, which leads them to be their best competitive and academic selves. Many coaches work hard to motivate their players each and every day. With MST, athletes learn how to motivate themselves, based on their unique personalities and goals. This will impact both individual and team performance. Author and veteran tennis coach Ronald Woods sums up the objective nicely: “Place the responsibility directly on the players so that they realize that they can control their own destiny and future development,” he wrote in “The Mental Side of High School Tennis,” an article published in the Journal of Physical Education, Recreation, and Dance. The empowerment Woods speaks of easily carries over to academic goals, making for stronger student-athletes overall. “When athletic programs offer both physical and mental skills training, they provide a better argument that participation in competitive sport can also be a valuable educational experience,” wrote Weinberg and Williams in Applied Sports Psychology. Students can use the mental techniques they learn in class, at work, or in negotiating their next steps in life, and these skills will last long after their competitive sports careers are over. For the here and now, MST leads to effective goal-setting, better focus on the task at hand, and an ability to adjust to adverse situations. This can be just what a teenager needs, as they struggle with uncertainty, immaturity, and a lack of self-confidence during the often difficult high school years. But of course, the benefits do not manifest overnight. Coaches must spend time teaching mental skills just as they do physical ones. The most effective plan for implementation includes four stages: education, acquisition of skills, implementation, and evaluation. The best way to integrate MST into a high school athletic department is to start with the coaches. Ideally, an athletic director can conduct a training session in the late spring so that each coach has the summer to put a program in place for his or her specific teams in the upcoming year. From there coaches can introduce MST to student-athletes. Initial steps should include sending a letter home to parents that describes the training and holding a few sessions with student-athletes. Depending on the school culture, a meeting with parents might also be a good idea. Goal setting provides direction, increases motivation, directs attention, and raises self-confidence. Athletes can be taught about the different types of goals—season-long vs. weekly, individual vs. team, practice vs. competitive, process vs. outcome. Imagery helps athletes create a blueprint for performing a skill. This may include body position, sequencing, timing, and specific movements. Incorporating as many senses as possible makes it easier to create a more vivid image. Energy management allows athletes to perform at their best emotionally. They learn to manage emotions during competition and gain a sense of control over a situation. This can ensure that energy is directed toward becoming focused and not wasted on corralling one’s feelings. It can also lessen anxiety and apprehension and boost positive expectations. An interesting aspect of energy management is learning to suppress the judgmental impulse. We spend a lot of effort on evaluating ourselves and our surroundings. During competition, this can be counter-productive, taking an athlete’s focus away from the task at hand. Self-talk assists athletes in reaching their ideal mental state. It entails finding cue words to help players focus and keep a positive outlook. We all have to deal with “the critic” in our heads, and self-talk gives us responses to the negative statements we have about ourselves. The next part of the program is the acquisition phase—team sessions revolving around the development of the four key skills. I suggest conducting four 30-minute meetings, with each focusing on one skill. The best way to teach these techniques is to keep things simple and use examples that your student-athletes will understand. • What is going through your mind? • How do you overcome the anxiety that accompanies being down 2-5? • What strategies focus you on the task at hand and not the score? • How can you suppress the impulse to be judgmental? Click here to download the article as a pdf! The implementation phase is where the skills learned are put to use. Coaches should prompt athletes to do this with quick reminders before practices and games. But it will ultimately come down to each athlete incorporating the techniques moment to moment. It can help to take 30 minutes weekly for discussion. This can be scheduled as part of practice or accomplished whenever there are down times such as during bus rides or a weather delay. Having honest discussions as a team about the challenges and successes related to exercising basic mental skills will result in growth, just like discussing proper technique in sports skills enhances physical performance. The final stage of an MST program is the evaluation phase, in which coaches monitor progress through several avenues. One is by having athletes complete feedback forms after the initial education sessions, at the mid-point of the season, and as the season comes to a close. The goal of this basic MST program is for high school athletes to acquire the mental skills necessary for success in their sport and in life. Further, the program will help our young people become more self-activated, invested in their personal growth, and effective on any field of play. Enter your email address below and click to download your pdf!